The short time you spend at a job interview could have a dramatic effect on YOUR career prospects. It is therefore important that you perform well because no matter how good your career record is to date, the employment interview remains an important step towards fulfilment of your ambitions. These hints, combined with the guidance provided by our consultants, will equip you with valuable information on how to conduct yourself during interviews with prospective employers. Why did you choose this particular vocation? What do you really want to do in life? What do you want to be doing in your career five years from now? Ten years from now? What was the size of your last salary review? What have you learned from some of the jobs you have held? Which did you enjoy most? What have you done which shows initiative in your career? Have you saved any money? What entrepreneurial activities have you been engaged in? 16. What type of books do you read? How many books per year? Overbearing-overaggressive-conceited ''superiority complex'' - ''know-it-all''. Inability to express thoughts clearly - poor poise, diction or grammar. Lack of confidence - nervousness. Over-emphasis on money - interested only in remuneration. Evasive - makes excuses for unfavourable factors in record. Lack of preparation for interview - failure to get information about the company, resulting in inability to ask intelligent questions. Know the exact place and time of the interview, the interviewer's full name, the correct pronunciation and his/her title. Find out specific facts about the company - where its plants, offices or stores are located; what its products and services are; what its growth has been; and what its growth potential is for the future. There are a number of research publications providing this kind of information. Refresh your memory on the facts and figures of your PRESENT/FORMER employer. You will be expected to know at least the basics of a company that you have previously worked for. Prepare the questions you will ask during the interview. Remember that an interview is a 'two-way-street'. The employer will try to determine through questioning if you have the qualifications necessary to do the job. You must determine through questioning whether the company will give you the opportunity for the growth and development you seek. Anticipated induction and training programme? Advanced training programmes available for those who demonstrate outstanding ability? Earnings of those successful people in their third to fifth year? Dress in a business suit (NO SPORTS CLOTHES). Pay attention to all facets of your dress and grooming. You are being interviewed because the interviewer wants to hire somebody - not because he/she wants to trip you up or embarrass you. Through the interaction which will take place during the interview, he/she will be searching out your strong and weak points, evaluating you on your qualifications, skills and intellectual qualities and he/she will probably probe deeply to determine your attitudes, aptitudes, stability, motivation and maturity. If presented with an application, DO fill it out neatly and completely. If you have a personal resume, be sure the person you release it to is the person who will actually do the hiring. DO greet the interviewer by his/her surname if you are sure of the pronunciation. If you are not, ask him/her to repeat their name. DO wait until you are offered a chair before sitting. Sit upright in your chair; look alert and interested at all times. Be a good listener as well as a good talker. Smile. DON'T smoke even if the interviewer smokes and offers you a cigarette. DO look a prospective employer in the eye while you talk to him/her. DO follow the interviewer's leads but try to get the interviewer to describe the position and the duties to you early in the interview so that you can relate your background and skills to the position. DON'T answer questions with a simple 'yes' or 'no'. Explain whenever possible. Tell those things about yourself, which relate to the position. 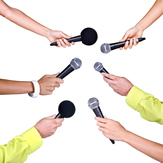 DO make sure that your good points get across to the interviewer in a factual, sincere manner. Keep in mind that you alone can sell yourself to an interviewer. Make him/her realise the need for you in his/her organisation. DON'T lie. Answer questions truthfully, frankly and as 'to the point' as possible. DON'T ever make derogatory remarks about your present or former employers or companies. DON'T 'over answer' questions. The interviewer may steer the conversation into politics or economics. Since this can be ticklish, it is best to answer the questions honestly, trying not to say more than is necessary. DON'T enquire about SALARY, HOLIDAYS, BONUSES, RETIREMENT, etc on the initial interview unless you are positive the employer is interested in hiring you. You should know however your market value and be prepared to specify your required salary or range. DO always conduct yourself as if you are determined to get the job you are discussing. Never close the door on opportunity. It is better to be in the position where you can choose from a number of jobs - rather than only one. If you are interested in the position, ask for it. Ask for the next interview if the situation demands. If he/she offers the position to you, and you want it, accept on the spot. If you wish some time to think it over, be courteous and tactful in asking for that time. Set a definite date when you can provide an answer. Don't be too discouraged if no definite offer is made or specific salary discussed. The interviewer will probably want to communicate with his/her office first or interview more applicants before making a decision. If you get the impression that the interview is not going well and that you have already been rejected, don't let your discouragement show. Once in a while an interviewer who is genuinely interested in your possibilities may seem to discourage you in order to test your reaction. Why you are interested in the job and the company? What can you offer and can you do the job? - You have done all you can. Last, and most important, call the consultant who referred you to the position immediately after the interview and explain what happened. He/she will want to talk with you before the interviewer calls he/she back. If you are interested to progress further it will assist if your feelings towards the position are known, together with your perception of what the client's reaction is likely to be.